At this earthcache you will be able to walk easily from the spring to the delta. 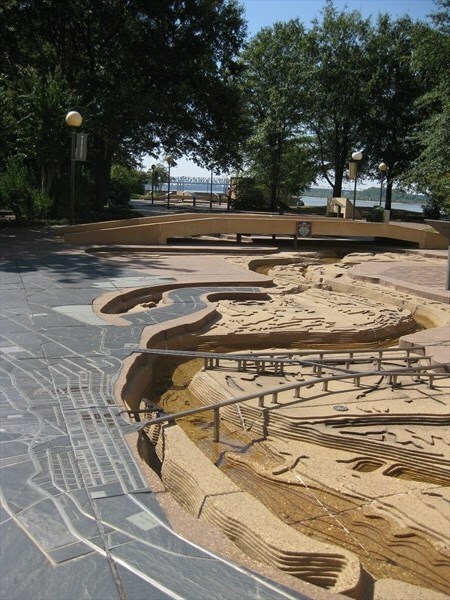 Join the trip along The Riverwalk (It is an exact scale model of the Lower Mississippi River flowing from its confluence with the Ohio River at Cairo, Illinois south to the Gulf of Mexico) and get rewarded with a great view of the river and Memphis Downtown. You are free to book additional tours, but these are not necessary to claim credit for this EarthCache. To reach the area of the model you can use the walkway above the Monorail for free or buy a ticket for an smoth ride. The Mississipi is the largest river system in North America. Flowing entirely in the United States, rises in western Minnesota and meanders slowly southwards. 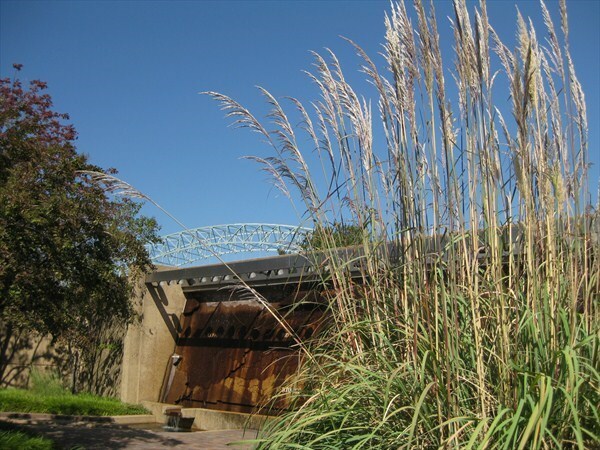 Native Americans lived along the Mississippi and its tributaries. Most were hunter-gatherers or herders, but some such as the Mound builders formed prolific agricultural societies. then settlers, ventured into the basin in increasing numbers. then as vital transportation artery and communications link. most notably the Missouri, formed pathways for pioneers partaking in the western expansion of the United States. which he called Río del Espíritu Santo ("River of the Holy Spirit"), in the area of what is now Mississippi. French explorers Louis Jolliet and Jacques Marquette, began exploring the Mississippi in the 17th century. Marquette traveled with a Sioux who named it Ne Tongo ("Big river" in Sioux language) in 1673. Marquette proposed calling it the River of the Immaculate Conception. At this spot you can see two walls which show a part of the Mississippi's watershed. From the information on these walls, list the States that form the watershed for the Mississippi River. Find the point were Memphis is located at the model. if you are standing at the Memphis model area and view to the oposite site of the river you can spot a big sandbank. Can you see this sand bank at the real river as well? or is it flooded? After how many miles does the journey of the river end? 1) From the information on these walls, list the States that form the watershed for the Mississippi River? 2) How visible Is the big bank of sand on the opposite river side? 3) After how many miles does the journey of the river end? 4) How many gallons of water are running through the model? 5) It would be nice if you would add an optionally picture of you and the Mississippi River to your online log. Please send your answers to my profile and do not forget to send your email along with it. in a wide region between Minnesota and Wisconsin known as Lake Pepin in the year 1922.